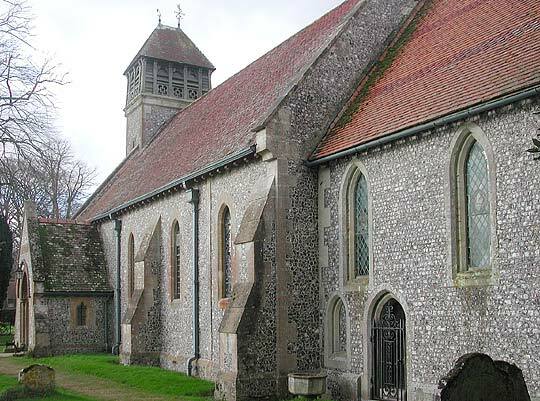 A Saxon church, even if the Saxon work is a little less obvious than the similar work at Corhampton. Long-and-short NE quoin, lesenes W of it (not visible) and in the corresponding position on the S side (first picture). 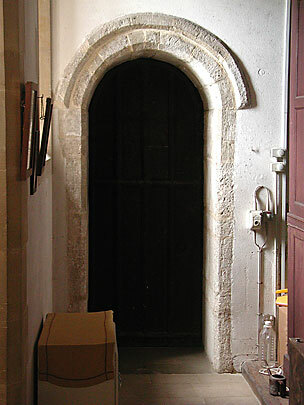 The doorway now into the N vestry has straight jambs too. 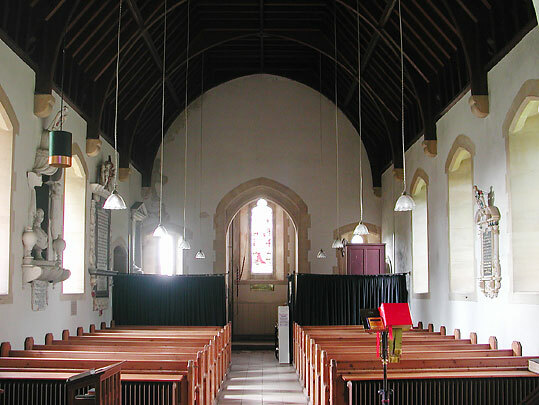 In the chancel also redone C13 lancets, including a low-side on. The W tower has a rather French-looking top of 1879 by C.N.Tripp. 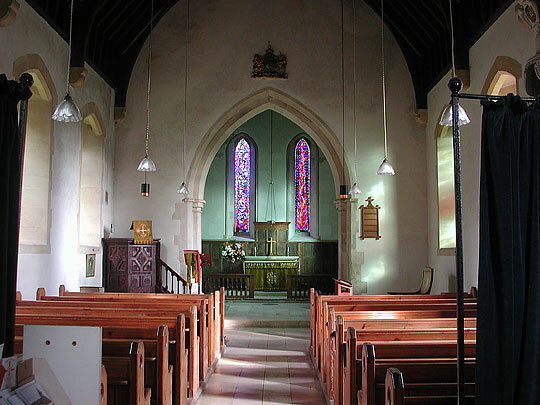 Nave, looking east into chancel, looking west into tower. 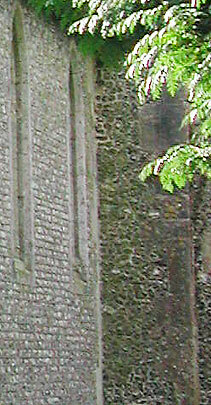 Pulpit C17. 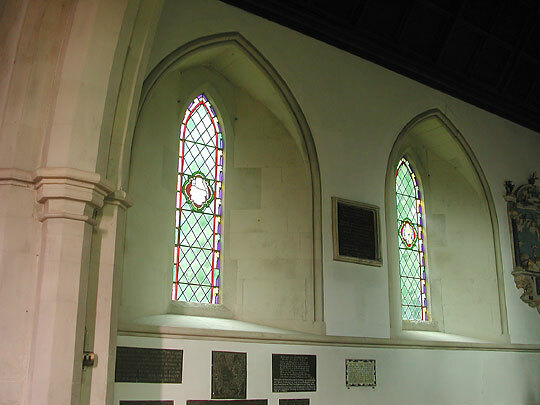 The panels with geometrical fields. 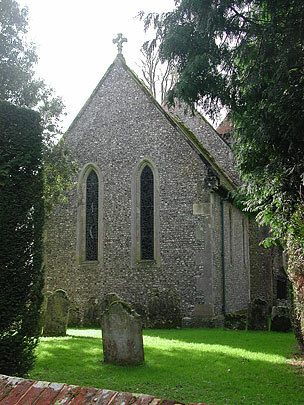 Hinton Ampner House, by the church. 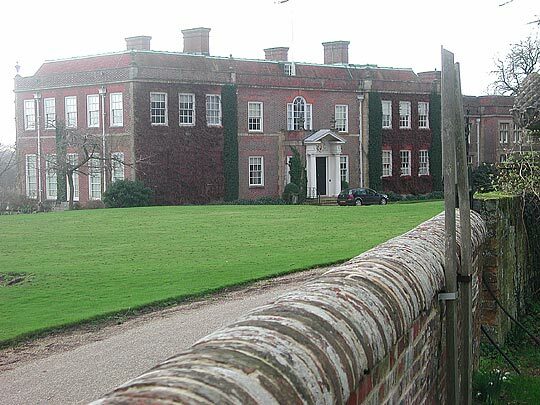 A neo-Georgian house built by Gerald Wellesley (the Duke of Wellington) in 1937 although with alteration since fire in 1960.